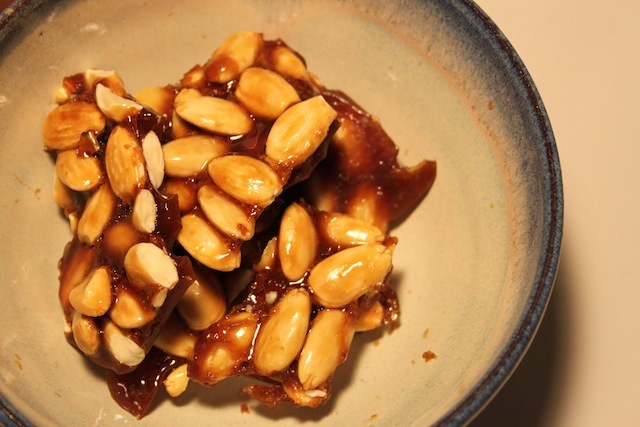 The Spanish Christmas Candy That Wasn’t: Turrón – Eat Me. Drink Me. 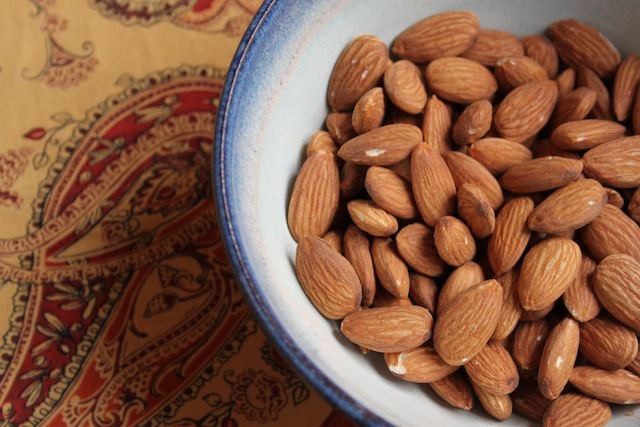 If your almonds are unpeeled, blanch them in boiling water for 30 seconds, then drain and quickly run cold water over them for 30 more. 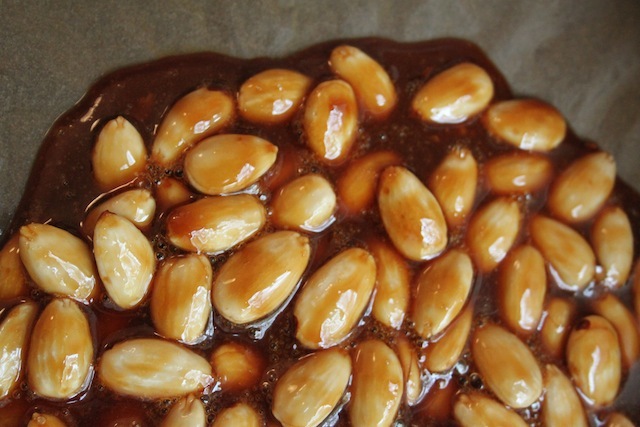 Allow them to cool for a bit, then slip the skins off until you have a whole bowl of beautiful, peeled almonds. Prepare a cookie sheet for your finished product by covering it with a piece of lightly buttered parchment paper. 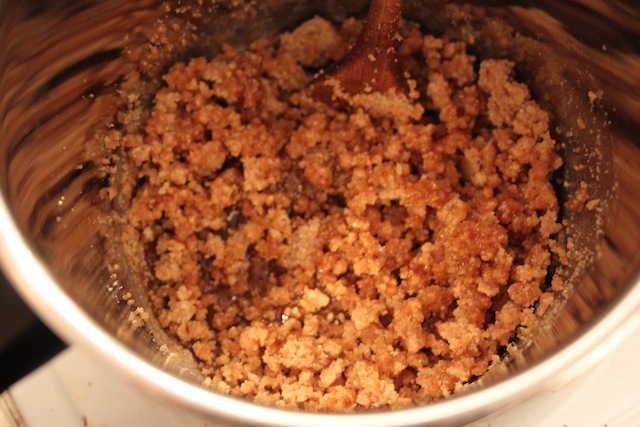 Over medium-high heat, melt your sugar until it liquefies. This happens exceptionally quickly, so don’t, under any circumstances, leave the stove. 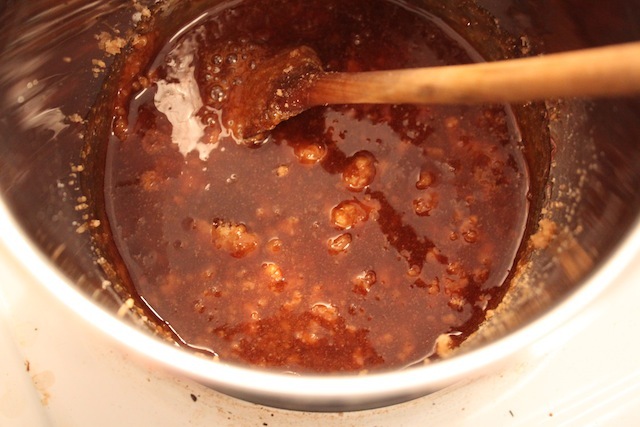 Stir sugar frequently to prevent it from burning. 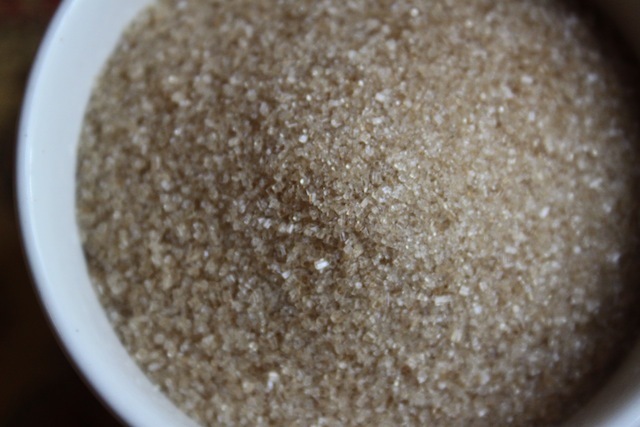 Don’t get too close to the sugar as it tends to pop and can burn your face. Not that that happened to me – but it sounds nasty – and I wouldn’t want it to happen to you. 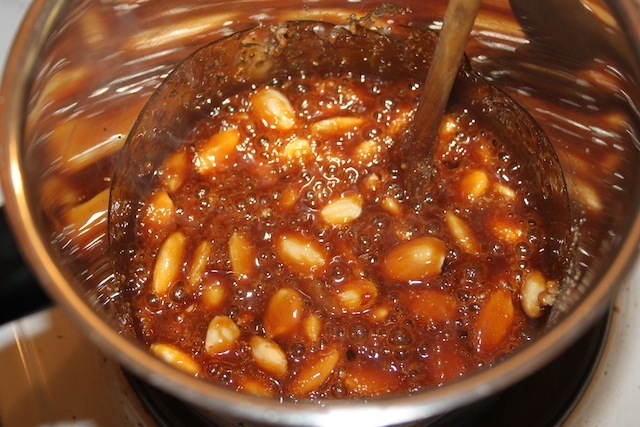 When your sugar has completely liquefied (now we call it caramel), add almonds to the pot and give it one good stir to blend. 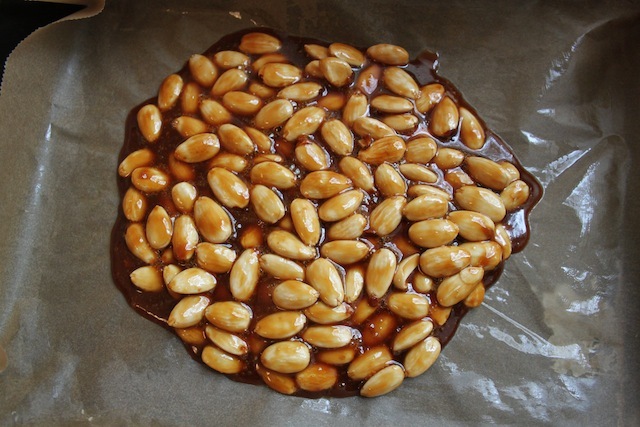 Pour mixture onto parchment paper and allow to cool completely. When cooled, remove paper and break into pieces.